ATHENS, Ala. – Eat, Sip, and Shop at the 8th annual Sippin’ Cider Festival in downtown Athens. 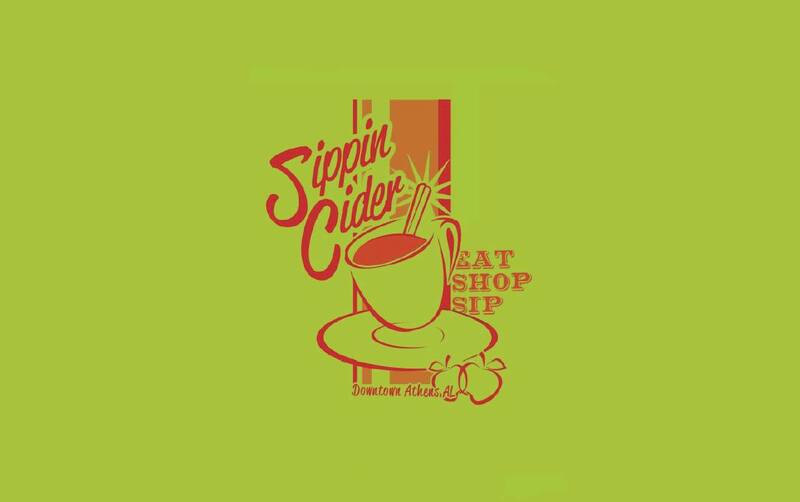 Winter’s favorite drink will take center stage in downtown Athens, Ala. the second Saturday in December when Athens Main Street hosts the 8th Annual Sippin’ Cider Festival. The holiday affair, set for December 8, 2018, offers an evening of roasting marshmallows, shopping among local merchants, special activities for children, visits with Santa Claus, and door prize giveaways as festival goers sip on hot cider prepared by downtown merchants. From 5 p.m. to 8 p.m., participating merchants will offer sample tastings of their favorite cider recipe. Guests will vote by ballot for their favorite, and the cider receiving the most votes wins the coveted Cider Cup and bragging rights for the year. During Sippin’ Cider, merchants of downtown Athens will also serve up gift ideas and special sales throughout the evening. While sipping on cider, guests can tackle their Christmas shopping and browse for unique holiday decorations while supporting local businesses. “Sippin Cider is one of Athens’ favorite events. It combines enjoying some of the best Cider you will ever taste with Christmas carolers, rides on the Kiddy Train, roasting s’mores and holiday shopping, which is all done in our lovely historic downtown,”said Athens Main Street Executive Director Tere Richardson. Richardson encourages the community to come and see the store windows decorated for the Bicentennial Christmas theme, dine at one of our wonderful restaurants, and shop for the great store specials and door prizes the merchants are running just for the evening. The following downtown businesses will have cider for their patrons: Hendricks Patton, Terranova’s, Bennett’s Clothing, Garnet’s, The Warten House, Boneyard Antiques, UG White, Epiphany Boutique, HLCRealty, Pimentos, Tootlebugs, CEI Bookstore, Crawford’s Gifts, Limestone County Archives, High Cotton Arts, Trinity’s, SnapdragonKids, Tammy’s Fine Jewelry, Pulse Boutique and Village Pizza. Other activities include special activities in stores for children, festive holiday music, roasting marshmallows, and a visit by Santa Claus. S’mores will be on the East Side of the Courthouse lawn with Hot Chocolate from RE/MAX Valley and the Kiddy Train will be located on Marion Street. Be sure to check out the Athens Main Street social media accounts for more information on the in-store specials and other news regarding the 8th Annual Sippin Cider Festival. “The Sippin Cider event has become a tradition we look forward to each year. We enjoy spending the evening with shoppers and serving our award-winning mulled cider,” said Amy Higginbotham, owner of Trinity’s in downtown Athens. “Last year was the first year that the Friends of the Archives participated in Sippin Cider with a crock full of apple pie spiced cider and a statewide traveling World WarI exhibit in our newly-opened exhibit space. We saw hundreds of people come through our doors, enjoy our cider, and enjoy a little bit of history too. This year we will be opening the Tennessee River and Northwest Alabama exhibit in our exhibit space just in time for Sippin Cider, and we will be bringing back our apple pie spiced cider. We love having the opportunity to welcome people into the Limestone County Archives for special events like this that celebrate the past and the present of downtown Athens,” said Limestone County Archivist Rebekah Davis.